7. 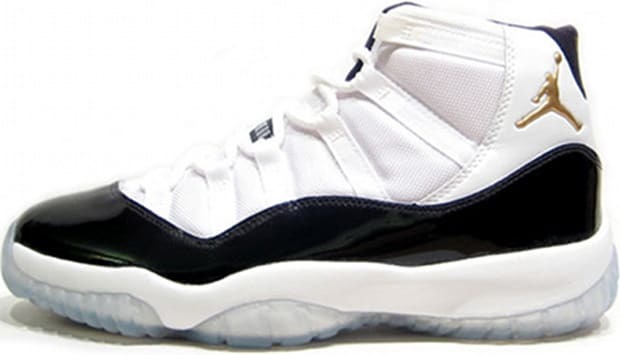 Air Jordan XI "Defining Moments"
Using the OG Concord colorway as a base, this Jordan was released as a part of the defining moments pack — pairing the Jordan XI with a black and gold Jordan VI. The VI was meant to commemorate Jordan’s first championship and the XI was to honor Jordan’s first championship after his retirement. The gold added flash, but wasn't the right look for the purists.